2016 Federal budget announced measures to reduce a Canadian controlled private corporation’s accessibility to the small business limit by restricting multiplication of the small business limit. The announcement introduced the term specified corporate income (SCI) – defined as income earned through the provision of services or property to another corporation where there is common ownership. Let’s say that there are two unassociated corporations: OpCo and ServiceCo. OpCo pays ServiceCo a management fee for management services provided. Previously OpCo and ServiceCo were each entitled to claim the $500,000 small business limit and, consequently, each corporation would pay 13% tax in British Columbia (federal and provincial combined) on its first $500,000 of qualifying income. Effective for taxation years beginning on or after March 22, 2016, if there is common ownership between OpCo and ServiceCo, then SerivceCo cannot claim the small business limit on the active business income earned from OpCo unless OpCo assigns a portion of its unused small business limit to ServiceCo. This assignment is done by completing “a special form” – which has not yet been released. any person who does not deal at arm’s length with any shareholders of Service Co. However, if 90% or more of ServiceCo’s active business income is earned from providing services to arm’s length persons other than OpCo, then these SCI rules do not apply. If Opco does not assign any of its small business limit to ServiceCo, ServiceCo will pay tax 26% tax – rather than 13% tax – in British Columbia (federal and provincial tax combined). As at the date of the post, this 2016 Federal budget initiative had not yet received Royal Assent. It’s traditional for finance ministers in Canada to buy new shoes on the day before they announce the annual budget. 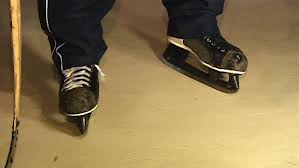 BC Fiinance Minister Mike de Jong took a new spin on this tradition and wore ice skates for the budget speech today. For those born in 2007 or later and have an RESP account, their families may apply for a one-time grant of $1,200 before he or she turns seven. The family is not required to match or provide additiona contributions to earn the grant amount. 2. Earning more than $150,000? Beginning in January 2014 the income tax rate on earnings in excess of $150,000 will be increased to 16.8% – an increase of 2.1%. Beginning in April 2015 (yes, 2015) this new benefit program will come into effect. Eligible families will earn $660 per year for children under the age of six. As this is a refundable provincial tax credit, families may receive a refund of up to $660 upon filing their personal tax returns. Medical Service Premiums will be increased by 4% on January 1, 2014. The “non”-small business tax rate will increase by 1% to 11% on April 1, 2013. Last year’s budget announced that a 1% increase would occur in 2014 if warrented by the economic situation. This budget will not be debated or voted upon until after the May 14, 2013 provincial election.